Ivy Tech Community College in Indiana recently announced it will use BioBeyond as the standard course for all of its online introductory biology courses. The college, which has more than 40 campus locations serving nearly 71,000 students, piloted the digital biology course over the summer, and now plans to use it in 37 online sections. 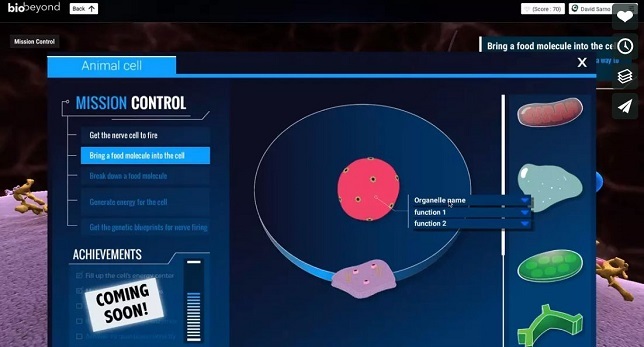 BioBeyond "takes students on a journey to learn how life works," according to a company statement. Designed to replace traditional textbooks, the course offers 56 adaptive lessons, using virtual field trips, interactive simulations and other inquiry-based materials to teach students to make observations, test hypotheses and engage with science. "This new course is a game changer, both in how students engage with and understand the course material, and the insights instructors gain on students' grasp of concepts throughout the semester," said Reid Morehouse, assistant professor of life and physical sciences at Ivy Tech, in a statement. "The pedagogical flexibility and cost savings we're able to have with this course make it unlike any other." "We know that course material cost can be a barrier for our students," added Madisen Gunkel, an instructional designer at Ivy Tech. "With BioBeyond we've found significant cost savings for our students and adaptive and engaging course content." The course also provides real-feedback on students' progress through the material, allowing instructors to step in with remedial material when needed. BioBeyond was developed by the Inspark Teaching Network on the Smart Sparrow platform, in partnership with Arizona State University's Center for Education Through Exploration. Students pay $40 for the course plus $15 for open educational resources. Ivy Tech's prior course material costs for introductory biology ranged from $185 to over $200, according to a news announcement. For more information, visit the BioBeyond site.